Guinea Pigs Playing Basketball Or Case Study In Humanity? It's said that a picture is worth 1,000 words. 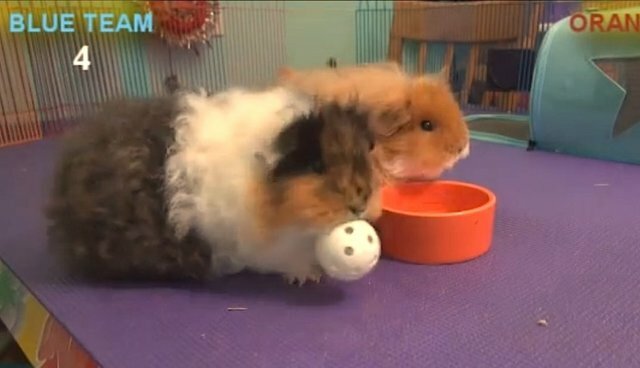 If this is so, and it often is, this video of two guinea pigs learning to play basketball to the tune of Sweet Georgia Brown is worth countless words. And, it's a wonderful activity and very creative lesson in humane education developed by animal trainer Barbara Heidenreich in what can be done to make the lives of companion animals more enjoyable and richer using only positive reinforcement. 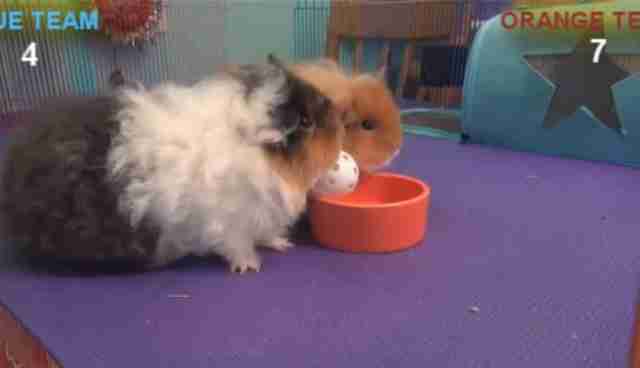 I hope this video is shared widely because it shows how patience pays off, and this is clearly evident in the behavior of these two lucky guinea pigs -- they're really having fun. Please watch the entire show to see how different tactics and individual differences emerge. While neither could play for the Harlem Globetrotters who have dazzled millions of people by performing incredible tricks to the tune of Sweet Georgia Brown, the guinea pigs do pretty well in learning the game. And, there is no reason why other animals cannot also be trained in similar ways.